Cal’s Coins is a North Carolina coin dealer that has been serving coin collectors and investors in Jacksonville and other communities in throughout the rest of the United States for more than 45 years. 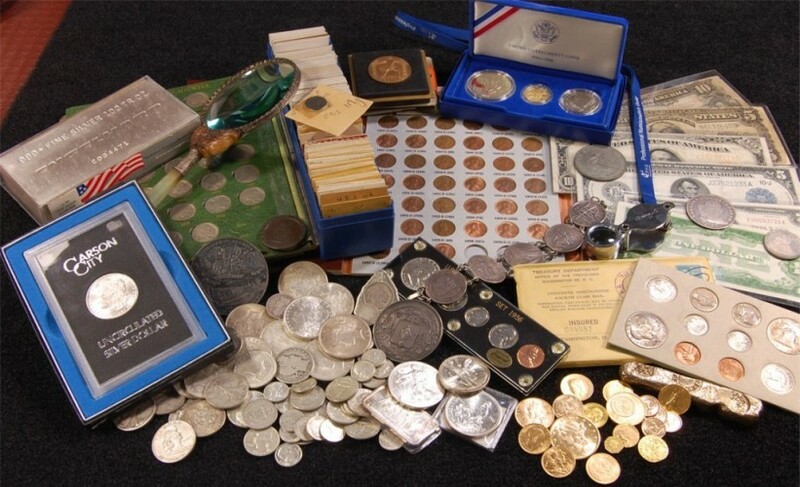 Cal’s Coins offers a wide selection of collectibles and numismatic items, including half cents, large cents, pre-1965 U.S. 90 percent silver coin such as Morgan and Peace dollars, pre-1933 U.S. gold coins, U.S. Mint proof and uncirculated sets, paper currency, foreign coins, silver and gold bullion coins from the United States and other nations, bullion bars, and much more. The expert staff at Cal’s Coins enjoys filling coin want lists and will gladly seek out items that may not presently be in their inventory. This Jacksonville, NC, coin dealer provides one-on-one attention to each of its customers, follows strict grading standards, and offers competitive prices. The owner of Cal’s Coins is a member of the American Numismatic Association, the Jacksonville-Camp Lejeune Coin Club, and the Lower Cape Fear Coin Club of Wilmington. My wife and I inherited a sizable coin collection of which we knew very little about its contents and value. I found Cal on the Coin Values website and after speaking with him for several minutes, set an appointment for him to meet with me and my wife to place a value on the collection. Cal was very helpful and knowledgeable. He took the time to answer our questions and explained things so that even we could understand! He was very professional and I appreciated the fact that he would meet with us in the privacy our home; privacy and confidentiality are very important to us! His offer was more than satisfactory and we enjoyed the overall experience. It certainly is good to know that there are good and honest men like Cal in the coin business!